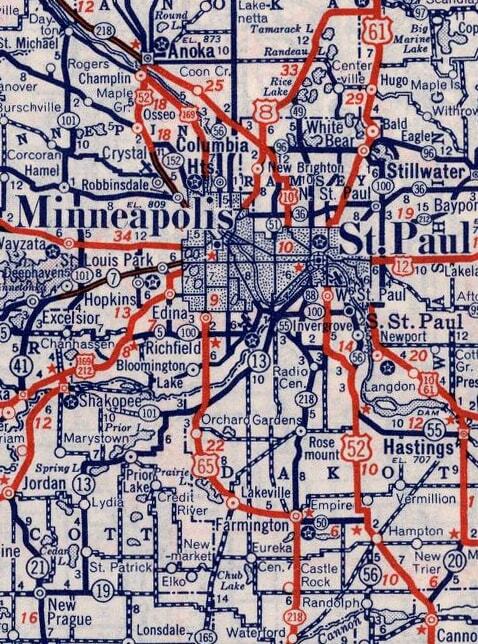 Obviously the view there has changed a lot since last century, but that intersection was once the north end of US 65. To the left was eastbound US 10-12, and westbound was straight ahead. That intersection marked the east end of US 212 from 1935 to about 1961 (Robert carried US 10-12-52 traffic, and straight ahead was designated MN 212). 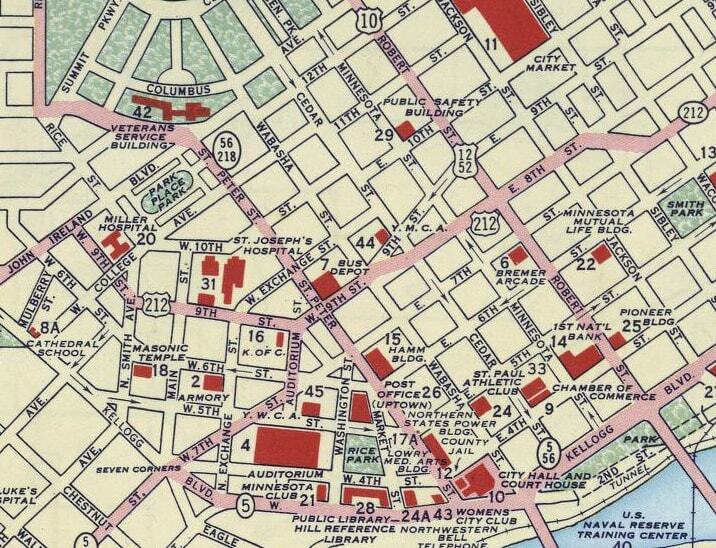 Then some of these downtown streets were converted to one-way pairs. 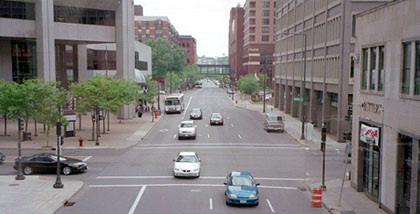 At that point, the cars coming towards the camera would have been approaching the westbound beginning of US 212, but the eastbound end was one block to the right, at 7th Place (then known as 7th Street). 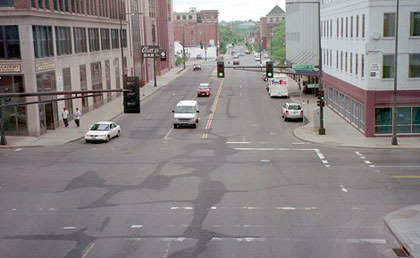 That lasted until about 1978, when the US 212 designation east of Snelling Avenue was cut back (instead US 212 turned north on Snelling and ended at University Avenue, or US 12). 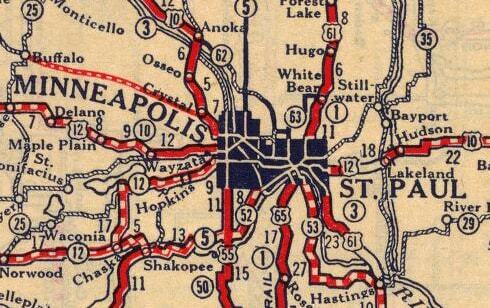 But that lasted only about one year, after which time US 212 was truncated to Eden Prairie.